Several World Cup teams have now announced their preliminary World Cup squads, and with the tournament kicking off in less than a month it is time to look ahead to the group stage of the tournament. Up next is our World Cup Group F preview. The defending world champions champion will head into the tournament looking to become the first country to defend their title since Brazil (1958, 1968). Qualifying with an unbelievable record of ten wins in ten World Cup qualification matches and a goal against record of 43:4 Germany’s head coach Joachim Löw at one point had over 50 possible players to pick from. In the end, injuries and drop of form meant that Germany’s provisional squad was narrowed down to just 27 players. But even than Löw will be faced with the tough choice of cutting four more players by June 4 – unless injuries at the training camp or test camps do the job for him. Placed in Group F with Mexico, Sweden and South Korea, Germany are, therefore, not only the favourites to win the group but are also among an elite group of teams that will compete for the overall title. On paper, it is hard to look beyond Germany – Germany sent a weakened team to both the U-21 Euros and the 2017 FIFA Confederations Cup last summer and ended up winning both. A four-week tournament, however, is much more than about putting together the best squad. Unlucky moments, like Bastian Schweinsteiger’s handball at Euro 2016, can derail a tournament at a heartbeat. Hence, although Germany are the bookmakers favourite to win the whole thing Löw will be working hard to ensure that details will not get in the way of Germany winning their fifth star in Russia this summer. Unlike, Argentina or Brazil, Germany’s biggest strength is the collective. Strength in depth, however, does not mean that Germany do not have any stars. Perhaps the country’s most important player is Toni Kroos. The Real Madrid midfielder acts like a metronome in Die Mannschaft’s midfield and might be the only player in the squad Löw would be unable to replace. A focus will also be on goalkeeper Manuel Neuer, whose foot injury has been a major concern ahead of the tournament. Should he not play Barcelona keeper Marc-André ter Stegen could become one of the emerging stars at the 2018 FIFA World Cup. Up front look out for Borussia Dortmund’s Marco Reus, who finally wants to leave a mark on a major tournament, as well as Thomas Müller, who could break Miroslav Klose’s all-time goal scoring record in Russia. Finally, ConfedCup top scorer Timo Werner will be leading Germany in attack and the RB Leipzig striker without a doubt will be in high demand following the tournament. El Tri have been one of the most consistent World Cup nations. Mexico will be taking part in their 12th World Cup this summer and finally want to overcome the curse of the round of 16. In the last six tournaments, El Tri were eliminated at the round of 16. In fact, only once, when Mexico hosted the tournament in 1970, did El Tri manage to get to the final eight of the tournament. Incredible numbers for a country that is widely considered as football mad and with Liga MX possesses one of the most competitive competitions on the planet. Hence, with a population of 125 million and a competitive national league Mexico are one of the most underperforming nations in the history of the World Cup. El Tri fans, however, can be optimistic that the course of the round of 16 could end this summer. Placed in Group F alongside Germany, Sweden and the Korea Republic there is significant optimism that Mexico can compete for one of the top two places in the group. That optimism stems from a qualification campaign that saw Mexico dominate the Hex, as the final stage of Concacaf qualifying is called. El Tri finished that stage first with 21 points, five points ahead of second-placed Costa Rica. Furthermore, unlike in the past Mexico no longer exclusively rely on talent from their competition as for the first time in history there is a significant contingent of players in the squad that ply their trade in Europe. Despite a terrible year in the English Premier League Javier “Chicharito” Hernández is once again expected to lead his country. 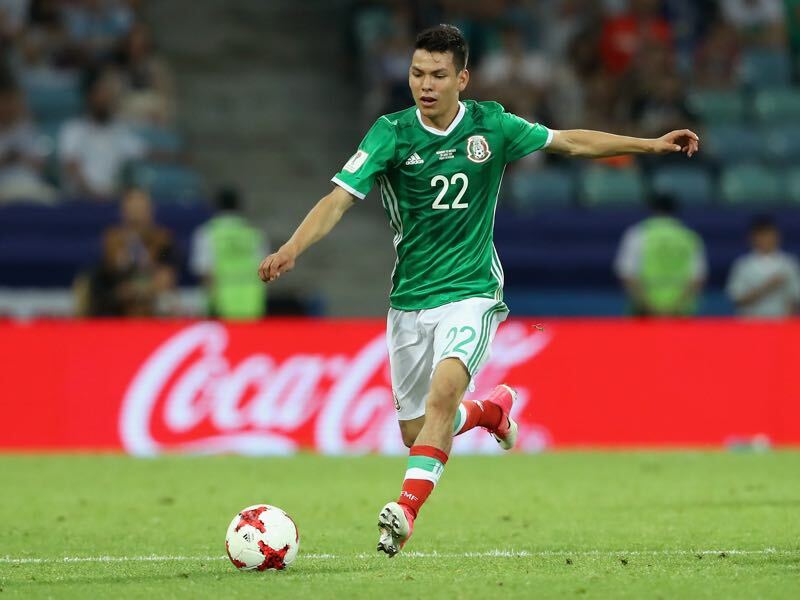 But while he is Mexico’s most recognisable player the focus by many scouts will be on PSV’s Hirving Lozano. The Pachuca product had a fantastic first campaign in the Netherlands and has already been linked with a move to some of Europe’s biggest clubs and is without a doubt among the players to watch at this tournament. Other players to watch include Eintracht Frankfurt’s duo Marco Fabian and Carlos Salcedo, Porto’s Jesús Corona and Porto’s Héctor Herrera. It was one of the biggest soap operas ahead of the tournament. Will Zlatan Ibrahimovic be part of the squad, or not? Ultimately, head coach Janne Andersson opted to head to Russia without the LA Galaxy striker. Ultimately, any World Cup without Ibrahimovic is a loss and although Andersson’s decision to rely on the core group that got the country to Russia makes sense – Sweden will ultimately lack the star power without the big man up front. Of course, an argument could be made that Sweden knocked out Italy in the playoffs after finishing second in the UEFA World Cup qualification Group A – behind France and ahead of the Netherlands, Bulgaria, Luxembourg and Belarus. At the same time, however, Sweden seem a somewhat dull side without Ibrahimovic that will have to heavily rely on the collective in order to compete with Germany, Mexico and South Korea in Group F. The very best the Scandinavian side can hope for will be the second place but realistically both Germany and Mexico will finish ahead of Sweden in Group F.
RB Leipzig’s Emil Forsberg will be one of the most scouted players at the World Cup – although Leipzig sporting director Ralf Rangnick has frequently stated that the Swedish attacking midfielder will stay put in Saxony there are constant rumours that Forsberg could be off this summer. 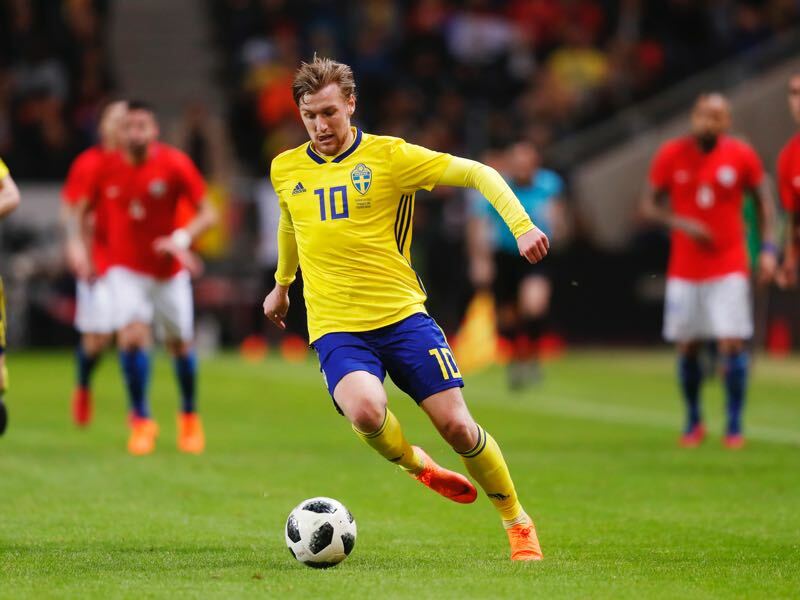 Forsberg, however, had a lacklustre season, which is good news for Leipzig’s ambitions to keep the midfielder but bad news for Sweden, who will need Forsberg in his best form. Meanwhile, other players to watch out for are Alaves’ John Guidetti and Manchester United’s Victor Lindelöf. The Korea Republic, or South Korea, will take part in their ninth World Cup in a row this summer. In seven of those tournaments, however, South Korea were eliminated at the group stage. The country’s best performance came at the 2002 FIFA World Cup, which was co-hosted by South Korea and Japan. The Taegeuk Warriors reached the semi-final of the tournament where they were eliminated by Germany. This summer South Korea qualified after finishing first in Group G in the second round of AFC qualifying ahead and then second in Group A in the third round of AFC qualifying behind Iran and ahead of Syria, Uzbekistan, China and Qatar. Overall, however, it was a difficult qualification campaign for South Korea. Following a series of poor results in the third round of qualifiers, including defeats to China and Qatar, head coach Uli Stielike was sacked and was replaced by former U-20 and U-23 coach Shin Tae-yong for the remainder of the qualifying round. Under Shin, the team managed to qualify as the second-placed team in their group following two goalless draws against Iran and Uzbekistan. Given the poor performances at World Cup qualifying South Korea will be without a doubt the biggest outsiders in Group F. The Taegeuk Warriors, however, could be a stumbling block for the likes of Mexico and Sweden, who will battle for a second spot in Group F behind Germany. Tottenham’s Son Heung-min will be South Korea’s most important player. The attacking midfielder is without a doubt the biggest star and much will depend on him if South Korea will want to have a chance to advance. Alongside him also look out for Red Bull Salzburg’s Hwang Hee-chan, who has been impressive for the Austrian side this season in the Europa League. Croatia, Serbia and Russia: Which team will go the furthest?